532 pages | 4 B/W Illus. "This terrific new edition, updating the classic, is one of the most complete manuals for directing you'll find. It gives both a broad overview and a detailed investigation of the craft; an explanation of the technology as well as an exploration of cinematic language and aesthetics. So take this guide, add your own passion for filmmaking, and you'll have a solid foundation for any movie you make." - Nancy Savoca, director, Dogfight, Household Saints, 24 Hour Woman, and Union Square. "While the basics of film aesthetics are well addressed, the value of this volume lies in its practical approach. Rabiger and Hurbis- Cherrier's firsthand experience allows them to describe the day- to- day of directing in simple, uncomplicated terms, appealing to both the novice and seasoned pro. . . The learning- by- doing method makes this across- the- board introduction accessible, practical and surprisingly entertaining." 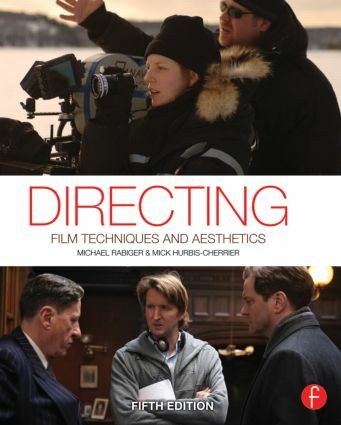 "As he has in previous editions of "Directing," Michael Rabiger continues to offer a complete and comprehensive overview of virtually all aspects of directing, from ideas to budgeting, from casting to editing. From my viewpoint there is no comparable book on the market."